With the most excellent help of Microsoft Excel MVP Frédéric LE GUEN there is now a French language option in the Create Time Dimension App. As expected, it will generate all headings and names in French. This entry was posted in Business Intelligence and tagged App, Create Time Dimension, Update on 2015-12-17, Thursday by Stefan Johansson. Microsoft SQL Server 2012 and 2014 has feature parity for SSIS and from a general/development/deployment point of view there is not a lot of exciting things to write about. A main difference is that for SQL Server 2012 the development environment is based on Visual Studio 2012 and for SQL Server 2014 the development environment is based on Visual Studio 2013. 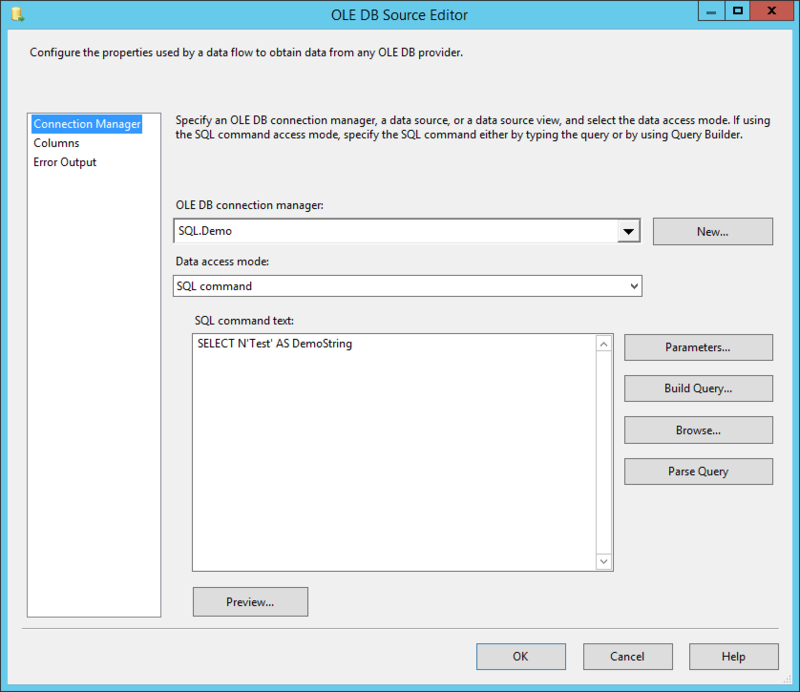 Even though the feature set is the same the compatibility is limited, as described in this blog post from Microsoft: http://blogs.msdn.com/b/analysisservices/archive/2014/04/03/sql-server-data-tools-business-intelligence-for-visual-studio-2013-ssdt-bi.aspx meaning it is still important to use the right tool and right version for the right version of deployment server. If you are looking for the SSIS BI tools for SQL Server 2012 they are available here: http://www.microsoft.com/en-us/download/details.aspx?id=36843, and for SQL Server 2014 they are available here: http://www.microsoft.com/en-au/download/details.aspx?id=42313. Remember that the plain SSDT SQL Server data tools are for development of database schemas etc. and not for BI work in SSRS/SSIS/SSAS. for BI work the similarly named SSDTBI tools needs to be installed. It is possible to develop and run the SSIS packages in Visual Studio 2012 and target a SQL Server 2014 environment but for actual deployment to be able to run it scheduled using DTExec.exe or through the SSIS catalogue the project has to be in Visual Studio 2013/SQL Server 2014 format. The upgrade process seems straightforward; just open the 2012 solution in Visual Studio 2013 and run though the upgrade wizard. However some times there are issues in the upgrade process. This blog post describes one such scenario where the upgrades failed and error messages indicates all sorts of issues. It turns out that the code/xml parsing of the existing 2012 packages are making some interesting assumptions and that by simply moving the version tag to the top of the xml document the upgrade will work as expected. 1, open existing SSIS Visual Studio 2012 solution in Visual Studio 2013. The open process will pick up the version difference and suggest an upgrade. 2, run through the upgrade process. In this case, the upgrades failed for all of the SSIS packages in the solution. 3, try to open a failed package and read through the error list. 4, Open the package using the code view to see the underlying xml document. use the view menu or press F7 to open the Code XML view of the SSIS package. 5, Locate and move the version tag (PackageFormatVersion) to the top. search for the text and remove the existing line that in this case was towards the bottom of the file and place it on the 3rd line. 6, Save and reopen the design view and the package will work as expected. Once the package is saved the upgrade engine will automatically and properly upgrade the package to the new version and the package will display the new xml structure in the xml view. 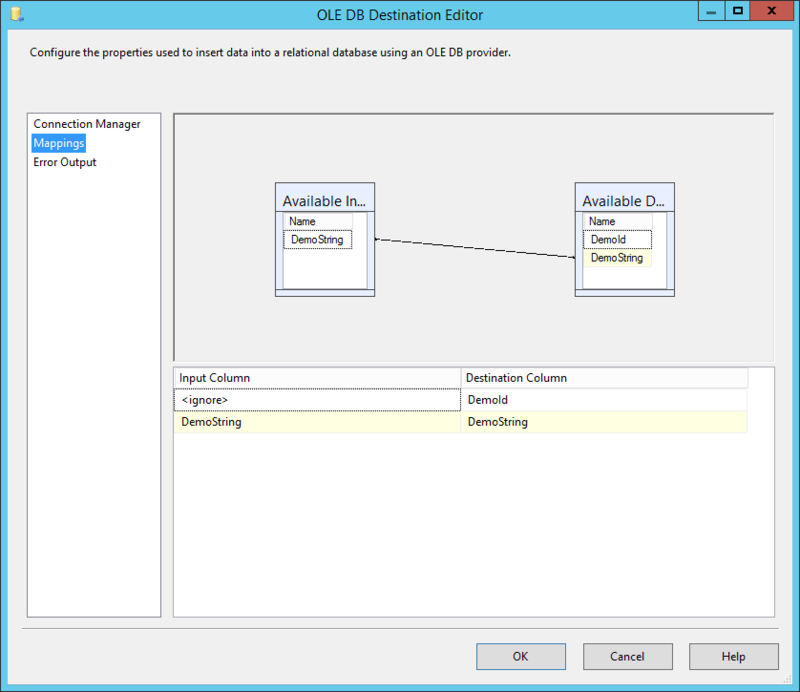 (SQL Server 2014 and Visual Studio 2013 uses PackageFormatVersion 8 as version definition. reopening the package in design view will now work as expected. 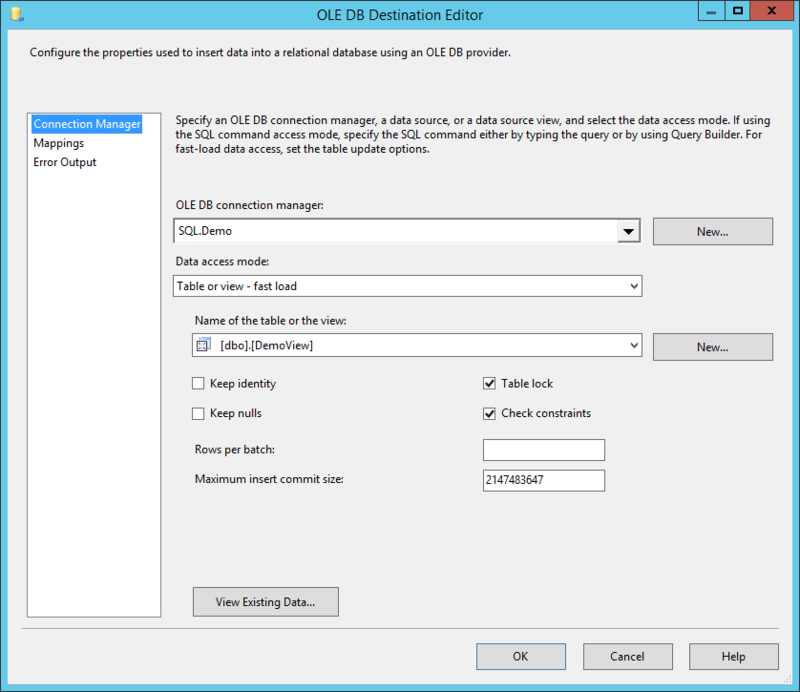 This entry was posted in Business Intelligence and tagged BI, Business Intelligence, Hack, SSIS on 2015-02-03, Tuesday by Stefan Johansson. How to solve the error: Load operation failed for query ‘GetAuthenticationInfo’ when deploying a LightSwitch 2012 application to a Windows Server 2008 R2 using IIS. Scenario: The following error message appears in browser instead of the expected LightSwitch-based web application. The application has been developed using Microsoft LightSwitch in Visual Studio 2012. The application works as expected on the development machine but fails to run in a Microsoft Windows Server 2008 R2 environment even though the LightSwitch server side prerequisites has been installed. After installation and a web site restart the application worked as expected. This entry was posted in Business Intelligence and tagged Application Development, error, How To, LightSwitch, SilverLight on 2014-06-30, Monday by Stefan Johansson.